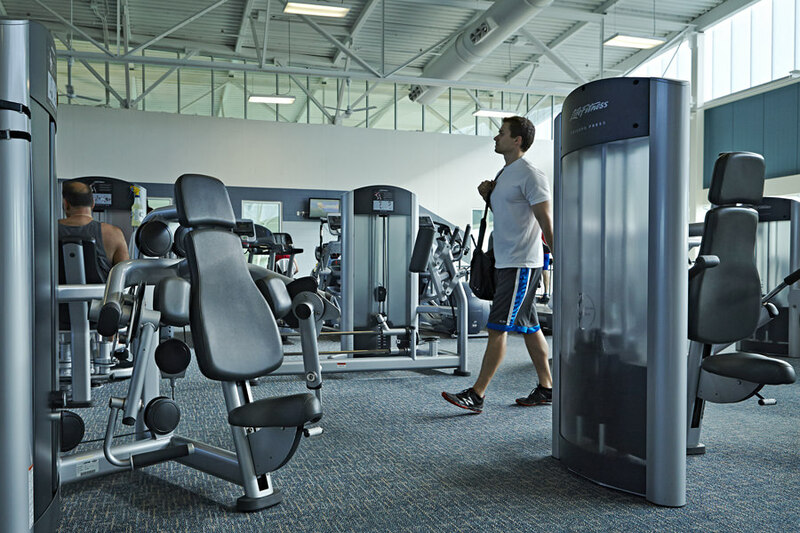 Let our fitness professionals tailor a new workout program to fit your needs. You’ll learn the best techniques and develop exercise habits that will give you the best results. Please contact our Fitness Specialist at 636-474-8122 to set up an appointment. This program can help participants improve in each of the five biomotor abilities with each workout: strength, speed, endurance, agility and coordination, and flexibility. The training can also help develop proper habits that may reduce the risk of injuries. Strength training will focus on progressively developing upper and lower body strength, core strength and stability through various periodization models. Speed training will focus on mastering efficient movement mechanics to optimize acceleration and maximum speed movement pertaining specifically to a given sport. Endurance training will progress from general to specific interval, shuttle and sprint training. Participants will become proficient at proper running and acceleration techniques. Flexibility will be emphasized with each session and each athlete will be stretched at the conclusion of the workout. 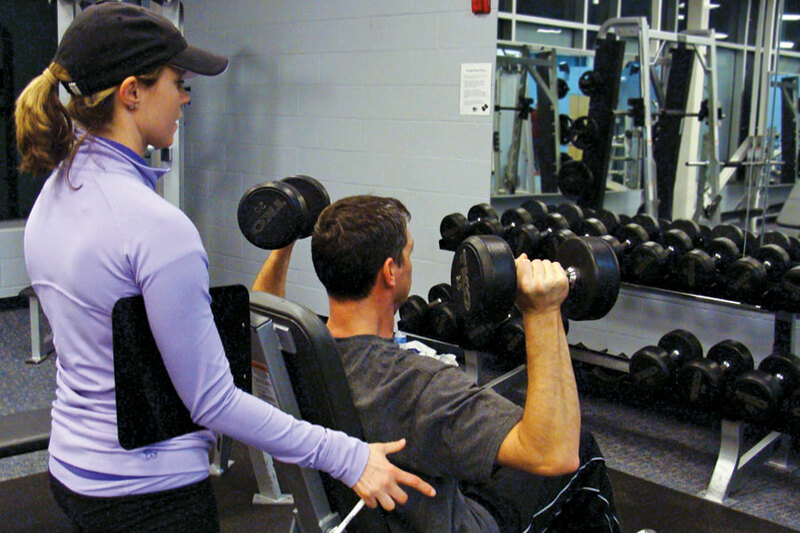 Join this small group training program for personal training at an even smaller cost! Dynamic Training will give you a “results guaranteed” workout customized to your fitness level and goals, as our certified trainers guide you through exercises and challenges sure to get your heart pumping. Proper nutrition is a must if you want to lose or gain weight, if you are an athlete or you are training for a fitness event. 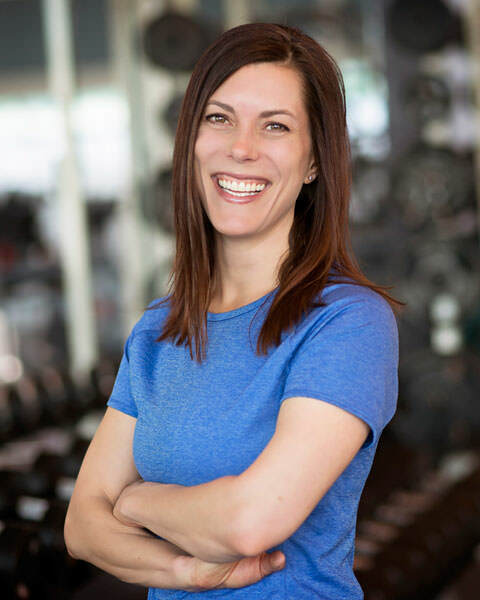 Let Heidi Witzke, ACE Certified Fitness Nutrition Specialist, customize a plan to fit your needs. Instruction may include grocery shopping fundamentals, understanding nutrition labels, eating on a budget, dietary theories, sports nutrition, smart goal setting and more. Please contact Ty Joyce at 636-474-8122 for more information or to set up an appointment. Angela decided to begin her career in the health and fitness industry as a personal trainer in 2001. She wanted to improve people's quality of life by increasing their strength, balance, cardio fitness and flexibility. Her experience includes training a diverse population of youth through older adults and strives to come up with innovative workouts that are challenging yet never boring. Angela also teaches boot camp, cycle boot camp and stays busy with her three young children. 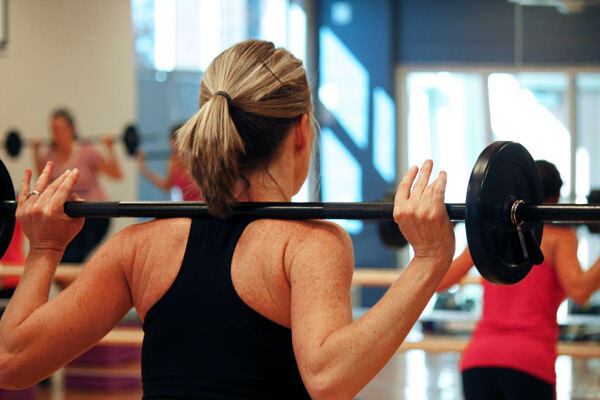 Instructor Beth Thomas has a strong background in fitness. 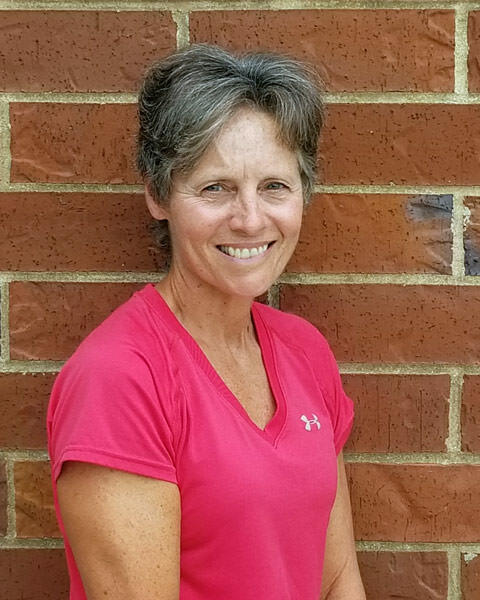 Her career began in 1996 at the University Fitness Center in Wisconsin, where she was the Group Exercise Director and an instructor for a variety of fitness classes. After graduating with a degree in Physical Education with a minor in coaching, she became a certified strength and conditioning specialist. She continued to teach and train at several health clubs, and competed in many triathlons, both sprint and Olympic distances. In 2008, Beth moved to the St. Louis area and started at the Renaud Center, where she is now an instructor. 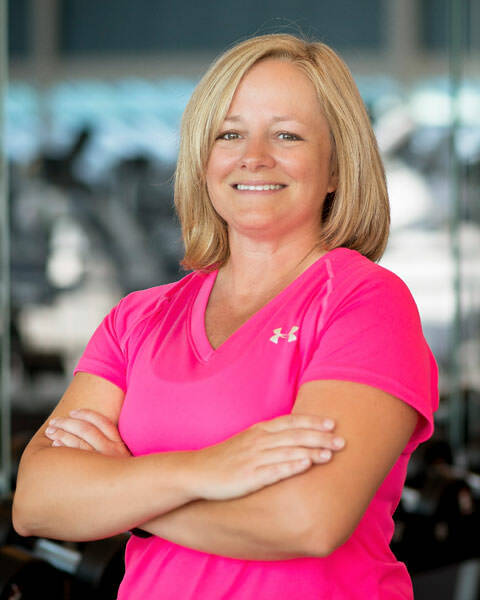 Beth’s background in teaching and competing gives her the experience and insight needed to develop safe, effective and fun workouts that are personalized for each client. You’ll also find her leading Dynamic Training, Cardio Dance Fitness and Boot Camp classes. When she is not training or working out, Beth enjoys spending time with her husband and four children. Brandon is new to training here at the Renaud Center but to many of the members and staff his face is a familiar one. Since 2015 he has been a member, a lifeguard/head guard and a swim lesson instructor. Brandon has always had a passion for health and fitness. He loved being active and he played a variety of sports throughout elementary and middle school. He continued his fitness journey by engaging in resistance training in high school and college. 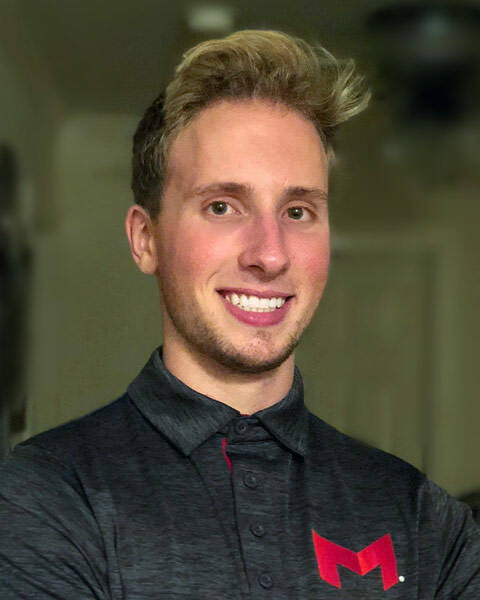 Exercise and nutrition have become such an important part of his life that he decided to pursue a degree in Exercise Science from Maryville University. 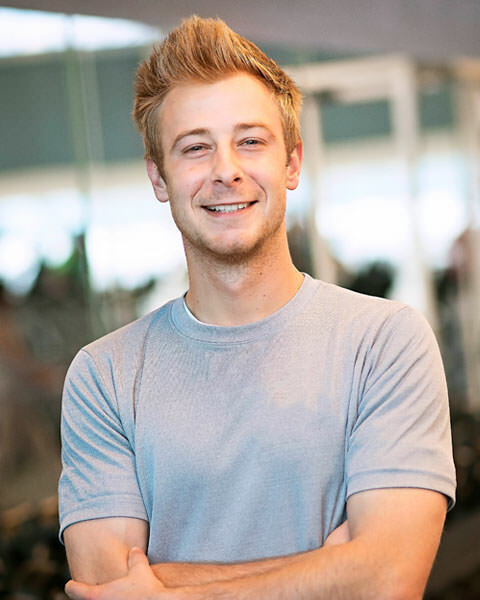 Recently, Brandon obtained his Personal Trainer Certification and became a trainer at the Renaud Center to help others feel great about themselves through exercise, and to help them learn more about health and fitness. As a part of his training program Brandon offers aerobic endurance training, hypertrophy (muscle growth) training, plyometric training, strength training, program design and exercise technique. He looks forward to helping anyone at any level of fitness. As a child, Heidi enjoyed participating in many sports and activities. From an early age she knew that she wanted a career in the field of athletics. Today she holds a degree in Exercise Science and she has worked professionally as a corporate wellness coordinator, personal trainer, group exercise instructor and running coach. Good nutrition has always been important to her, but when one of her children suffered a health scare, Heidi decided to study the subject in depth. “Nutrition is so very important,” she says. “What we eat literally becomes a part of us and can determine our state of health or disease. I believe that a nutritious, balanced diet promotes vitality and longevity, and it is one of the most important gifts we can give ourselves.” Heidi likes to stay active. You’ll see her teaching group classes at the Renaud Center. And she is preparing to train for her 16th marathon. When Heidi has time to relax, she like to read, cook and travel with her family. Natalie is a highly self-motivated athlete with a unique ability to encourage her clients to push themselves above and beyond their ``comfort level.`` Her considerable experience in endurance training, weight training, and core and stability training has translated into success with many clients. Throughout her life, Natalie has enthusiastically participated in physical fitness. She fondly recalls competing in a 5K race with her family when she was eight years old. As captain of the rugby team at the US Air Force Academy, she led the team to the national championship competition. Currently, she leads her ``team`` of four children in a daily homeschooling adventure. If Natalie is not at the gym in the early morning hours, she's probably out running. ``I love to run,`` she says. ``It's an efficient way to burn calories and relieve stress, and requires no coordination and only a pair of shoes.`` Although her favorite race distance is the half-marathon, she's run four marathons, and she's making plans to add to that number. Specializing in athletes, Brad has extensive experience in designing a training program that fosters development of the whole athlete. He is a former exercise physiologist at Lindenwood University’s Exercise and Performance Nutrition Laboratory. His coaching experience includes strength and conditioning training for athletes playing baseball, softball, soccer, volleyball and water polo. Brad also has trained clients suffering from the complications of obesity, people with autism, and special programs in Functional Movement Screening (FMS) and Survival of the Fittest. Outside of the Renaud Spirit Center, Brad has trained athletes in Kisumu, Kenya; Reykjavík, Iceland; Budapest, Hungary; at Barcelona Escola de Futebol in São Paulo, Brazil; Granada, Nicaragua; and across the United States. Sue Rowland is living her dream and enjoying every minute of it. She retired from government service after a 30+ year career, most of it as a city clerk. Sue is the proud grandma of four boys and a girl, and the grandkids are the main reason Sue and her husband relocated from North Carolina to Missouri after they both retired. Home is where the heart is, and the grandchildren own Sue’s heart! 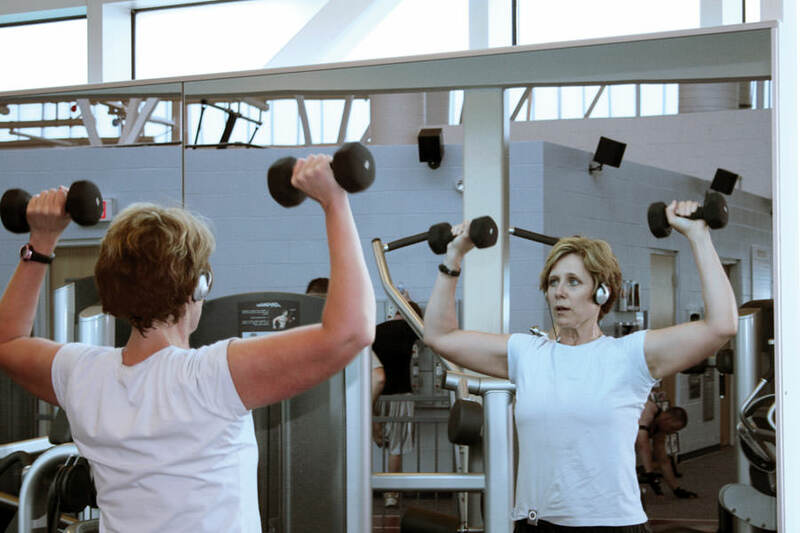 In her spare time Sue likes to spend time with family; take long walks, hikes and bike rides; play tennis, pickleball and basketball; lift weights; and customize workouts for her personal training clients and group fitness participants. She also likes to read fiction, especially mysteries.